Renshaw was a county administrator in Barrow County, Georgia with nine years local government administration experience. On Thursday, commissioners added Martin, Gilley and Alexander to the list. If they add any more candidates, they should be named by April 16. 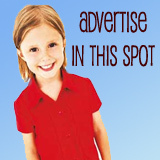 The commission plans to interview candidates on April 29. Commissioners will meet individually with candidates one-on-one before conducting interviews in a public meeting. Kenneth Griffin from Williamsburg, Virginia, was an alternate on the original list and withdrew his name after he accepted another position. He is a consultant and principal engineer at a private firm with five years experience as an assistant county administrator in Hillsborough County, FL. go local, they know more about what is going on then the others and they care about their home, the others just want a job. you see what happened with the fire chief dude when we brought in an unknow. I’ve seen posted in the comments section of various places the idea that the County is in imminent danger of the State shutting down our entire EMT services. The idea is, I hope, implausible, as I can’t imagine the State or the Dept of Health would allow such a grave public safety danger for the citizens of Escambia County. I am struggling to understand how the State would make a decision to cut off all EMS in Escambia County. While I do understand that there are serious challenges, and that an investigation that has now been sadly hamstrung by an unethical leak could nevertheless still manage to result in important results, I simply can’t understand how the State would resolve to cut off all EMS services in Escambia County. Perhaps there is something I’m not understanding that Mike could clarify, per State statute, explaining how this investigation could result in a chaotic health crisis for Escambia County. I’m sure that the Florida Dept of Health would have some interest in that outcome, also. Interested to hear the specifics. We have had people who had specific educational background in city/county management. It’s very important not to just bring in someone because they are from “out of town”, and please don’t bring in someone from N.Y. or Chicago. Those places haven’t had any good people in several generations. Look at the messes they have with democrat/socialism. It COULD happen here. Oh course the Commissioners would pick their own candidates so we can be in the same situation we are in now. The extent of the current investigations are more serious than they understand. The state can easily come in and shut down EMS and/or the Medical director can leave and there will be no ambulances to show up to your house. Yet they continue to just hide the truth and beat around the bush. This county is headed no where but down. As for the fire department hopefully they will put more thought into those issues before there is another fire similar to the ones in west Pensacola where lives were lost in Beulah. But wait we can not be proactive only reactive! This has been proven! Also remove the current acting County administrator! We viewed the replay of the recent BoCC Committee of a Whole. Agreed before it started that we’d not make comments during the showing and managed to do so, it wasn’t easy. Lots of individuals sitting there making decisions for We the People who elected them. Several of them were so busy patting themselves on the back they will need rotary cuff repairs. Others seemed to be in thoughtful contemplation remaining somewhat silent. Following the “performances” we concluded that none of us would want to be part of the esteemed and Honorable persons representing us as Our Commissioners. Hopefully someone with a skin of armor can be selected for the job. And what a job it will be. Hats off to our former County Administrators, you sure put up with a lot for US, Thank You. When this search began, I was of the firm opinion that the best thing for Escambia County was to conduct a deep and wide national search that might have the result of the best candidate having a fresh pair of eyes, different customary practices, and strong background in agility reorganization. The paramaters of need for Escambia County have shifted since the official search began, however. With crucial administration roles to fill and with multiple official investigations ongoing, on both the State and County level, my opinion has also shifted. It seems a clear need to advance a local candidate who will not require a 6-month to 1-year learning curve on Escambia practices, logistics, and politics. 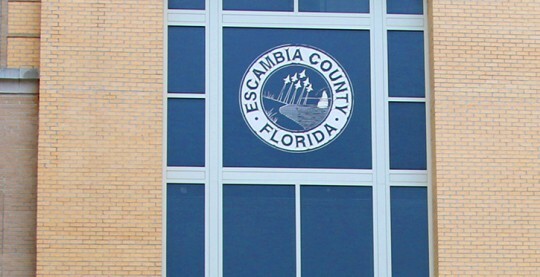 While FAC performed their selection with due dilgence, and operated ethically and judiciously within the prescribed needs provided to them by Escambia County, unfortunately those needs seem to have altered substantially. I personally have no preference among the local candidates mentioned, and although I don’t know any of them personally, a thorough check into their respective backgrounds demonstrates that we would be lucky to have any of the three. Our BOCC, to my mind, responded responsibility to the changing needs of the County in adding local candidates to the list. That said, the backgrounds of the remaining FAC candidates are also impressive and deserve respect. So let the best man or woman win. I’m thankful that the BOCC took a course that they knew would bring them scrutiny, It’s not always fun to do the right and judicious thing by considering all options and paradigms and not being afraid to change course. Wasn’t Janice Gilley a County Commissioner 2002-2004? I am of the opinion that Miz Gilly is the best overall fit. Mr. Michael Renshaw, it appears you have made a very wise choice. Best Wishes to you and your family/friends in the future. His words and withdrawal speak volumes, toss in the mess of Public Safety and the general dissent of certain BoCC members. Really who wants to take on a job where there are too many bosses pushing in different directions? Hopefully, the search for a new Superintendent of Schools will go more smoothly.